Feeling confident at the gym has a lot to do with what you're wearing. 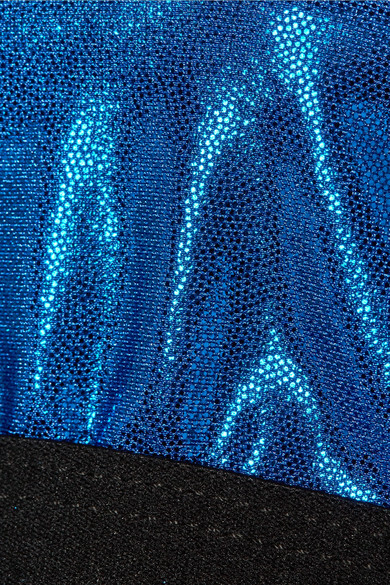 Meant to be worn with the coordinating 'Marvel' leggings, Heroine Sport's 'Starlet' sports bra is made from bright-blue metallic stretch fabric and features a generous cutout for added breathability. The adjustable straps and elasticated band ensure a supportive, comfortable fit. Shown here with: Nike Sneakers, Bang & Olufsen Headphones.